It might only be Round Two, yet tomorrow’s matches in Abu Dhabi and Dubai could well shape the destiny of all four clubs. After two close matches in Round One, all four teams believe they can win – and all four teams need to. The opening match in Abu Dhabi will see reigning premiers and first round winners, the Dubai Dragons, out to win a second match in a row and in the process try and secure top spot. Their title defence will be built around winning enough games to guarantee a grand final berth, and the sooner they stack the wins away the better. A loss is something that will be lurking in the back of their minds – a genuine possibility away from home – so they will be ready. The Falcons stumbled in their opening match against the Dingoes. In a match many felt the Falcons would win, the team came away disappointed that they dropped a match that they needed very much to win. Victories against the Dragons and Bulls these days are rare, so by blowing their chance to beat the Dingoes they have put themselves under immediate pressure. A win tomorrow would get their season back on track, but it’s a tough ask. The second match, in Dubai, will see the Bulls and Dingoes clash. The Bulls just cannot afford another loss. After dropping a close match last round against the Dragons, a second loss could be disastrous. What makes it tougher for the Bulls is how much the Dingoes appeared to have improved since last season. The Bulls have to bring their “A” game and not underestimate their opponents. 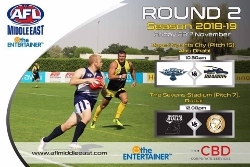 The Entertainer Dubai Dingoes are over the moon at their first round win against the Falcons. One match has already lifted confidence and has already put them in a better position that the past couple of seasons. The Bulls will be tough to beat, yet the Dingoes will have no fear. A loss sees them back in the middle of the pack at worst. Yet a win could see them remain on top of the ladder and set up a big assault on finals action. It is sure to be a fascinating pair of matches tomorrow, with high stakes for all four teams.